Once a Jinn becomes 16, she gets a bracelet which activates her powers and also allows her to grant one wish to each human. The wish granting and the Jinn world are ruled by the Afrit, and Azra believes that they are unfair jailers. Azra is struggling with becoming a Jinn because she only sees the negative and feels like it equals a lifetime of slavery. She doesn't understand why the male Jinn are not allowed to travel to Earth. I really liked Azra, but I also empathized with her. I can see that she could be incredibly frustrating for other readers. I understood Azra, because I hate being told what I can and cannot do. I also would balk about having my future decided for me and my decisions limited by a ruling class. In her stubbornness and rebellion against the Afrit, Azra has drifted away from her fellow Jinn "sisters" in the past few years. Upon her 16th birthday and the 16th birthday of the last sister in her Zar, Azra must cope with becoming fully Jinn and also with her feelings regarding her sisters, her mother and her human friends. I think a little of the beginning of Becoming Jinn could have been trimmed by taking out a little of Azra's sulkiness and stubbornness. There was a sort of mystery to the novel surrounding the Afrit and the Jinn on Earth. Why were men not allowed to travel to Earth? Did Azra's mother or father have anything to do with the new stricter rules for Jinn? I wish this aspect would have gotten more focus rather than Azra's moping. We don't find out what Azra's mom has been hiding until 20 pages are so from the end of Becoming Jinn, and the big reveal was kind of obvious. I also like that although there was a little bit of teenage romance, Azra wasn't completely obsessed with boys. She has a guy that's a friend, but there's also a focus on her friendship with her human friends and her relationships with her Zar sisters. Azra's friendship with Jenny and her feelings over her loss when she was a child were especially touching for me. I will warn that there is a bit of a love triangle (or square…), but as it's not really the focus of the book, it was bearable. 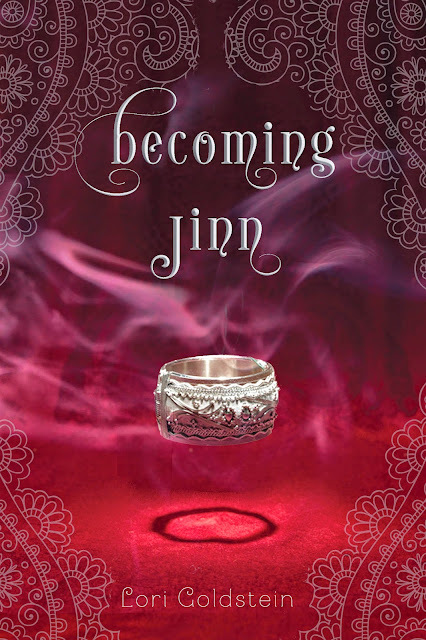 If you are looking for something a little differently in the YA paranormal genre, I would suggest giving Becoming Jinn a try, especially if you like stubborn heroines and more of a focus on family and friendships than teenage hormones. To satisfy FTC guidelines, I am disclosing that I received an advance copy of the book for reviewing purposes through the publisher in exchange for an honest review. This has in no way affected the outcome of my review. I can't wait to read this one, it sounds really good. Great review, thanks for warning about the sulkiness:D.
You're welcome! I hope you like as much as I did, and the warning helps! I am wanting to read this. The cover is so gorgeous and if you think the execution of such a cool premise holds up, then I definitely need to get it. I liked it, and I think that it was a fresh take in the YA genre. I hope you like it if you read it! If you review it, give me the link for your review!